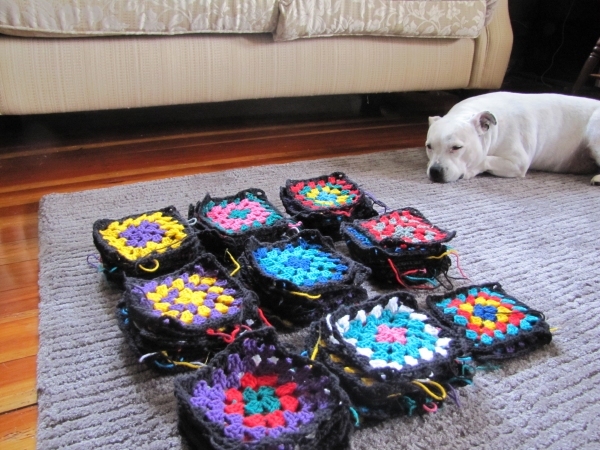 Symon's black-edged granny square blanket is coming along nicely. With 66 squares made so far, I decided to lay out the squares for a look, and even start joining some together. I'm wondering if she got mixed up and thought it was her blanket (this is her own one)? Really enjoying this project (minus the Boo slobber)! The blanket looks great. I have nominated your blog for the Versatile Bloggers Award. I love Boo... even when she nibbles my toe. 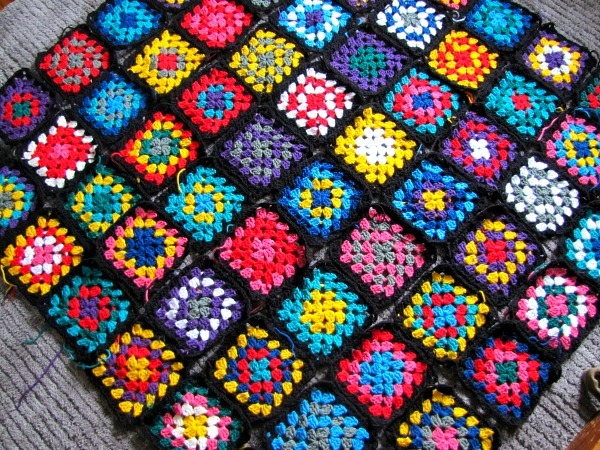 Stoked about granny squares! Love how the blanket is coming on, Mr Pj is going to love it, if Boo does'nt claim it first! !.